Cigarettes of course—let's name but cannot hope to shame the barefaced effrontery of the tobacco industry before getting on to this month's papers. Nick Hopkinson and colleagues have named and shamed the Public Relations companies working with the Tobacco Industry to oppose plain packaging of cigarettes (Lancet 2013;381:445), and also their other clients (who include the Department of Health). As suggested, is not now the time to boycott all those who take tobacco money in any context? We for one would move our custom to supermarkets who would take the principled decision not to sell tobacco products. And special black marks to Penelope Cruz and The Metro for the publicity photograph of her with a cigarette between her lips (14th February). Tabloid-thinking trumps evidence in Government; long after our Tobacco themed issue (November 2011) highlighted the connection between depictions of smoking in films and children taking up smoking, politicians still do not take action. Perhaps they are too busy competing for such time their Public Relations companies can spare from talking Tobacco. Breathe easy: Oh, no, not NICE again? So this is not about the excellent British Lung Foundation patient self-help groups, but a second dry powder device for inhaled antibiotics for cystic fibrosis patients, delivering Colistin, following on from dry powder Tobramycin. In this issue, Schuster et al (see page 344) report a comparison between the Colobreathe and what is taken to be the gold standard, nebulised tobramycin. The data show equal efficacy, but greater patient satisfaction with the Colobreathe, presumably related to a shorter treatment time and at a lesser cost than nebulised tobramycin. However, not if you are NICE, it would appear, at least from their preliminary report. An accompanying editorial gives the background (see page 311). Nebulised colistin is cheap and widely used, albeit with a limited evidence base and the colobreathe device is significantly more expensive. It is likely but not certain that dry powder devices will increase adherence to inhaled, and thus hopefully reduce costs of care and numbers of cystic fibrosis lung attacks. So who will blink first: will the company reduce the price of Colobreathe to that of nebulised colistin, in which case there will be a widespread transfer of patients from nebuliser to dry powder; or will NICE go into ‘thou shalt not pass’ mode? Hopefully the former; patients will benefit and health care costs will be contained. Otherwise, we suspect Colobreathe will gather dust in the dark recesses of obscure Pharmacies. All clinicians dealing with patients with inflammatory airway disease (except those involved in GOLD guidelines, see page 387) will be aware that long-term low dose macrolide antibiotics are an important addition to our limited armamentarium. 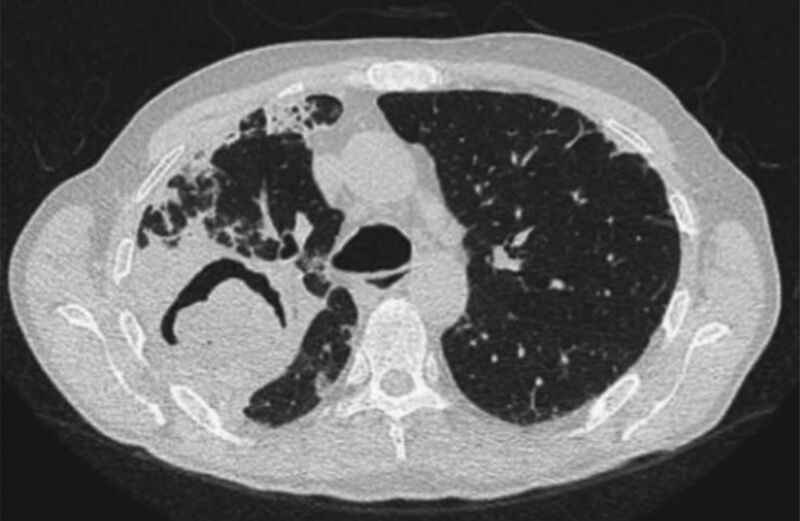 Treatment benefits are most clearly seen in patients with diagnostic labels of diffuse panbronchiolitis or bronchiectasis suggesting that treatment modifies an aspect of inflammation prevalent in these conditions, such as neutrophilic airway inflammation due to persistent airway infection. Guy Brusselle and colleagues’ study of treatment effects in severe asthma, published this month on page 322 editors’ choice) provides some support for this view, showing that long-term low dose Azithromycin halved asthma attack frequency in patients with non-eosinophilic but not eosinophilic asthma. In a linked editorial, Peter Gibson reviews the compelling evidence that this effect is mediated by a reduction in neutrophilic airway inflammation (see page 313). The great interest of macrolide treatment, and the reason we keep banging on about it (if GOLD won't, somebody has to! See page 388), is that it seems to help a population who do not respond to corticosteroid treatment, or may even be harmed by it. Can we add to the ever-extending list of the nutritional benefits of fast food consumption that of causing severe asthma and atopic disease? This month's Hot Topic is from The International Study of Asthma and Allergies in Childhood (ISAAC) phase 3 (see page 351). The group describes association (and as they say, this is a long way from causation) between eating fast food at least three times a week and severe asthma, eczema and rhinoconjunctivitis; consumption of fruit was protective. Given the roots of asthma can usually be traced back to infancy (even the fast food industry does not target babies in the post-natal wards), it seems more likely that the association is not causative but aggravating. More work needed; but in the meantime, look out for MacDonalds extending their role from advising Ministers on obesity to advising them on asthma as well. After a long wait, two arrive, one after the other!